Top model Winnie Harlow is styled by Camille Seydoux in hyper-feminine, couture beauty, lensed in Paris by Jacques Burga for Harper’s Bazaar Mexico and Latin America November 2018. Winnie Harlow is a total goddess, not only in fashion shoots but also her humanitarian work. 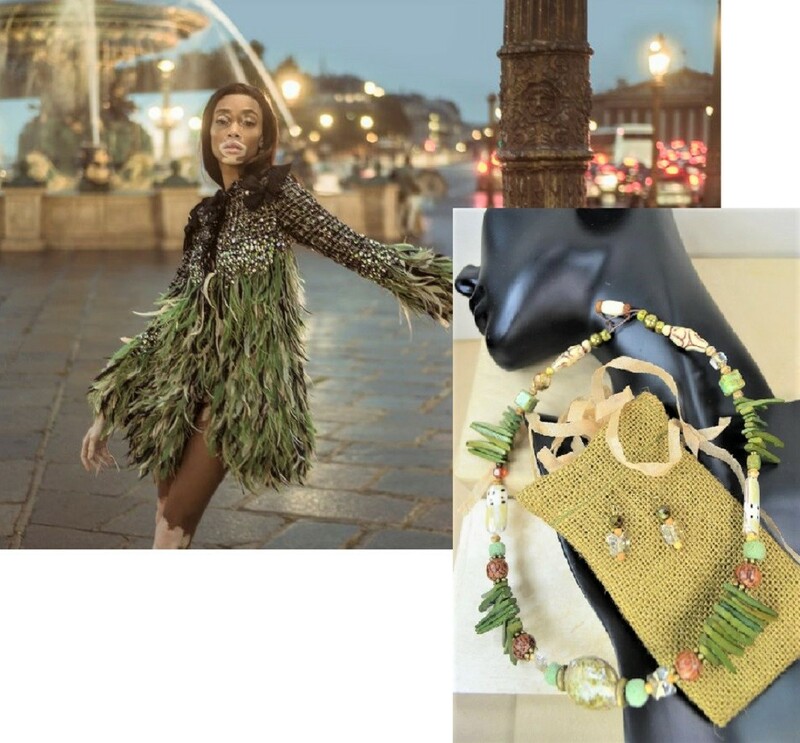 Looking at these fashion images, I was immediately inspired by our GlamTribal NS106 Tribal Goddess Creme Green Shells Lava Necklace w/Earrings $95. Just like Winnie’s Paris fashion editorial, this fusion of modern beauty with our ancient roots is the heart of GlamTribal’s appeal to women with artistic, humanitarian spirits.